I was thrilled to read this book! 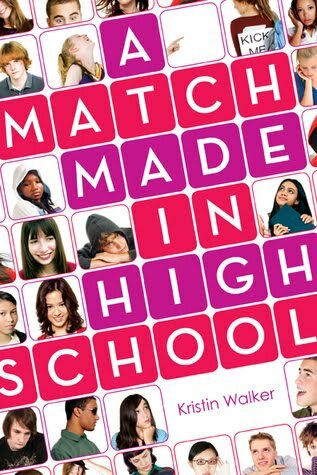 Both John Green and David Levithan are extraordinary authors and write amazing books by themselves, so I was excited to see this collaboration. Overall I was not disappointed, Will Grayson, Will Grayson was hilarious and poignant, with quite a few different twists that I was not expecting! I liked how David's Will wrote in all lowercase, because it added a quirkiness, and it made it easier to tell which Will was talking. I had trouble figuring out what was going on every once in a while but it was still good. Tiny was hilarious and I want a friend like him! Good book! This book gets a 4/5 because it was slightly confusing and disjointed at times, but still really good! I have never read Dr. Jekell and Mr Hyde and I should, I probably will eventually but the story has always intrigued me none the less. So I was very interested in this semi-retelling of the story. I read Beth's first book Jessica's Guide to Dating on the Dark Side and it was really good, dark but not too dark! 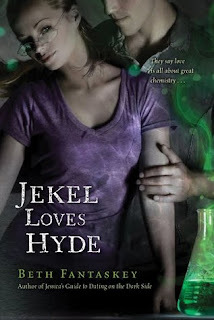 Jekel loves Hyde was no different! The characters were sculpted beautifully and I liked the dual character narration. Also the plot was original and beautifully developed, the air of mystery lasted until the last page! Somethings I did not like is that, at times I had trouble figuring out who was narrating at each time, because it did not switch back and forth with consistency. The only other thing was I felt that there were some things presented in the text that were not really concluded at the end, or really even dealt with. I did really enjoy this book, and I cannot wait for more from Beth! With this book I felt that I had read it before. The plot besides the Jewish thing was very common, and overdone. While I enjoyed the characters they were very stereotypical and hard to read about. 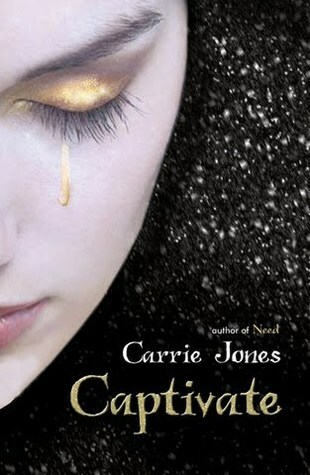 I really wanted to enjoy this book but I really didn't, the plot was too overdone, as were the characters. And I felt that the ending was very predictable. Overall I did not care for this book, and it was hard to get through. This is my big blogoversary giveaway so far! 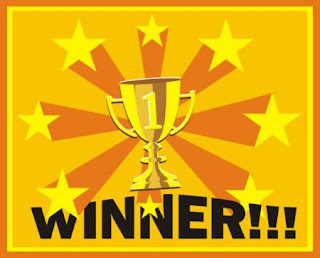 Two winners will each win a swag pack full of all kind of stuff, the first winner will choose which one they want and then the second winner will get the other swag pack! Her whole life, Alexia Garcia has been told that she looks just like pop star Kari Kingsley, and one day when Alexia’s photo filters through the Internet, she’s offered a job to be Kari’s double. This would seem like the opportunity of a lifetime, but Alexia’s mother has always warned her against celebrities. Rebelliously, Alexia flies off to L.A. and gets immersed in a celebrity life. Janette Rallison writes really cute books. But I have to say that this was not my favorite of hers. While I enjoyed the fact that there was less fluff in this novel, Kari annoyed me to no end. Annoying characters totally get on my nerves. But Kari took basically no actual responsibility for her actions which got on my nerves. I liked how Rallison dealt more with harder issues than in her previous novels, and I enjoyed the overall novel if not specific characters and situation. So I enjoyed the novel but one of the characters annoyed me. Commenter: Leslie from That Chick That Reads on my Hunger Games post! Here is my first blog/vlog about me! This is about some of my favorite books of all time, sorry its kind of long but you will be rewarded in the contest, that is announced in the vlog! An unforgettable story in the tradition of The Curious Incident of the Dog in the Night Time. I received this book from Around The World Tours and forgot about it. Then Cindy asked me if I had sent it and I was not sure what she meant, then I looked around and there it was sitting on the table. I told her I would send it promptly the next morning. I then picked up the book to try and read it before the next morning thinking it was going to be a struggle. I completely fell into this book. Caitlin's child-like innocence was increased by her battle with Asperger's so when her brother dies she has no real idea what is going on. Kathryn created a story that touches so many different emotions. I felt genuinely sad for Caitlin and her father's loss and Caitlin's need to make her father feel better and have "closure". This book deals with more than Asperger's it deals with something we all inherently feel whether we admit it or not. So poignant and touching! It made me cry. 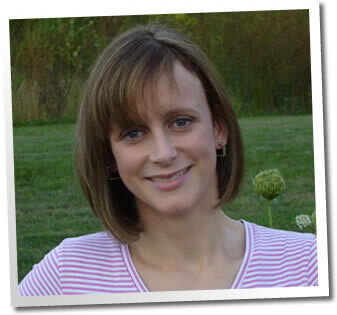 I love all of Meg Cabot's books that I have read! This series is really interesting and while when I first picked it up I thought it was going to be super fluffy, there is lots of intrigue. Runaway is no different. You definitely need to have read the first two books to even begin to understand Runaway, but that is ok becasue those books are good as well. 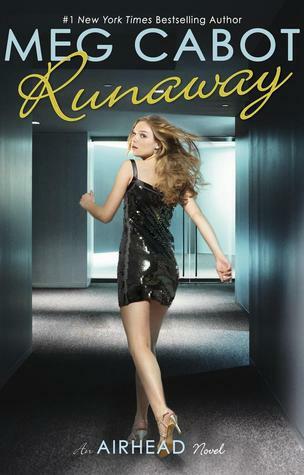 While Runaway was my least favorite in the series, I liked the way Meg Cabot tied everything together as well as the progression of the story. Em is hilarious and I liked how she finally came to terms with her situation, even starting to like it. 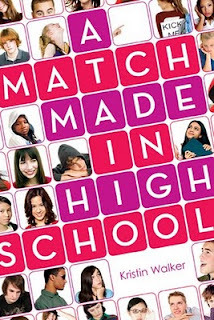 Meg Cabot has written another great book! Here is my review for Being Nikki! Have you ever heard of CSN stores? Well there are over 200 sites categorized on here. They have all kinds of things, do you need a bookshelf, or a desk chair? Maybe even a sleeper sofa or other housewares? CSN stores has it all. I am going to be reviewing one of their products soon so look out for that. I am not sure what I am going to review yet (either a bookcase or a desk chair) so if you have any ideas after looking at the site please leave a comment. Make sure you check out this great site! Who said she would go to Ireland! I have already sent her an email, which she needs to respond to within 48 hours or I will pick a new winner!